I’m a graduate of Social Work from Bicol University in 2010. Honestly, I didn’t have any idea about the course. It wasn’t even my first choice. I took it because I nearly missed the passing points for my first-course option. But as years passed, I grew to love my course and imagined myself doing all help-the-poor-and-children stuff that we had been discussing in the classroom. I will be the children’s savior, the poor’s voice, and I will make the Philippines a better place to live. I imagined I would be doing. But reality sets in pretty quickly and took me out of my jaded notion of serving the poor. A few months after graduation, I started working with World Vision. My first assignment was in the rural communities province of Sorsogon, where time seemed to move very, very slow and trees were more abundant than houses. I’ve seen families who move heaven and earth only to earn less than Php300 a day and children stripped of ambition due to influence from his/her poverty-stricken community and family. I’ve seen poor families who have nothing to eat yet can spend time drinking or playing cards. I’ve seen parents who see education merely a money-making skill for their children in the future. I’ve seen how the government in the barangay level works, some admiringly work hard to address community issues; while others are clueless on what to do. Despite these diverse attitude in the community, I never put people down because a social worker is taught that every human being has inherent worth and dignity that if given a chance has the potential to develop to the fullest he/she is capable of. Children is at the core of World Vision’s work. I look after hundreds of children everyday. I have to ensure that they are healthy, protected and going to school. If one is not, I had to immediately visit the child’s house and find out why, do a case study, and ensure that proper intervention is given. Most of these families live in areas that require tedious walk up the hill or crossing rivers — rain or shine. 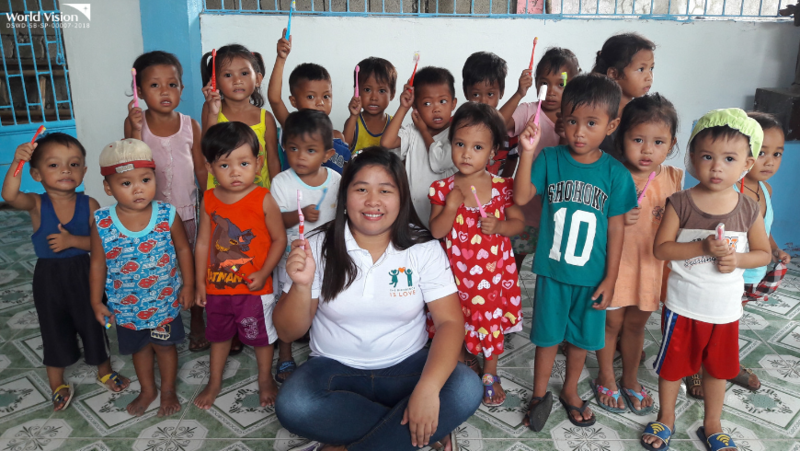 Most times, I would miss lunch and just eat whatever is in the community — corn, banana, root crops (later I learned to bring food and water with me). I seldom eat with families because I know how difficult their life is. I know they will give me what they can eat for three days. One of the things I couldn’t forget about my work was the time when a number of children under my care died. These were the days when awareness on malnutrition (non-existent at times) was low and not considered a life-threatening situation in the villages. Though I did what I could in any way I can, to see these children’s parents crying over their child’s dead body, and see how a once lively child is now lying lifeless under the sheet broke the whole me that I started to question my being a social worker. I cried to my friends. I cried at night. I promised to be their savior yet I couldn’t saved them. What did I do wrong? Why are you doing this to me, Lord? I woke up everyday fearing to hear a news that a child died again. I lost my self worth that time, and the only way out was to quit. But something told me not, and these words of God from Deuteronomy imprinted in me: “Be strong and courageous. Do not be afraid or terrified because of them, for the LORD your God goes with you; he will never leave you nor forsake you.” I prayed hard asking God take hold of my life and my work. Looking back, I realized that I grew too trusting of myself instead of trusting Him. So, God tested me. he showed me that I couldn’t do anything without Him. That it is only He and He alone who can do the impossible things. I am no super human. The experience opened my eyes to what my role as social worker truly is: I am merely God’s agent. It strengthened my faith in Him that even to this day whenever I encounter difficult situations, I leave everything to God. In school, we were thought that a social worker is a catalyst of change. I didn’t know what that meant until I started working in poor communities. That to be a catalyst of change I must have a high level of responsibility and accountability towards the families I am working with. That I must empathize with their happiness and pain to provide them services that will positively affect their lives. Though my work is emotionally and physically tiring at most times, I feel fulfillment in my heart especially when I see gratitude and hope in the eyes of the people I helped. Truly, God puts me where I should be. 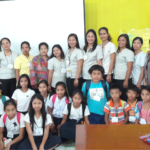 Impact and Value: World Vision and TravelBook PH work together to inculcate the love of reading among pre-school students. 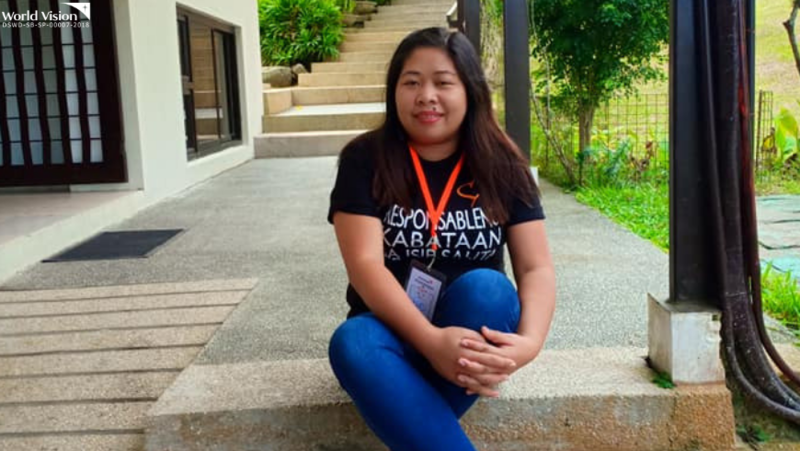 Through World Vision's Pinoy Nutrition Hub program, Anabelle learns how to cook nutritious meals for her sons.